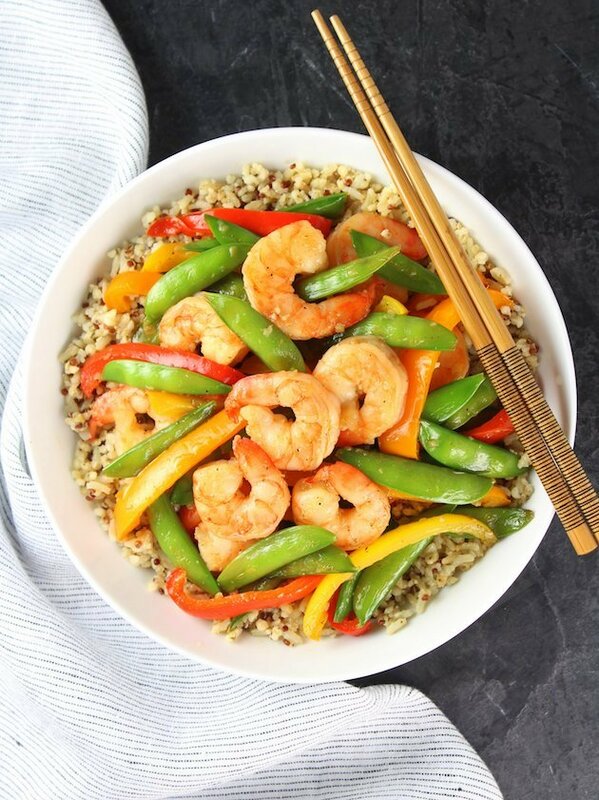 Thanks to our friends at Healthy Aperture Blogger Network and Hodgson Mill for sponsoring this amazing Garlic Pepper Shrimp Stir Fry! 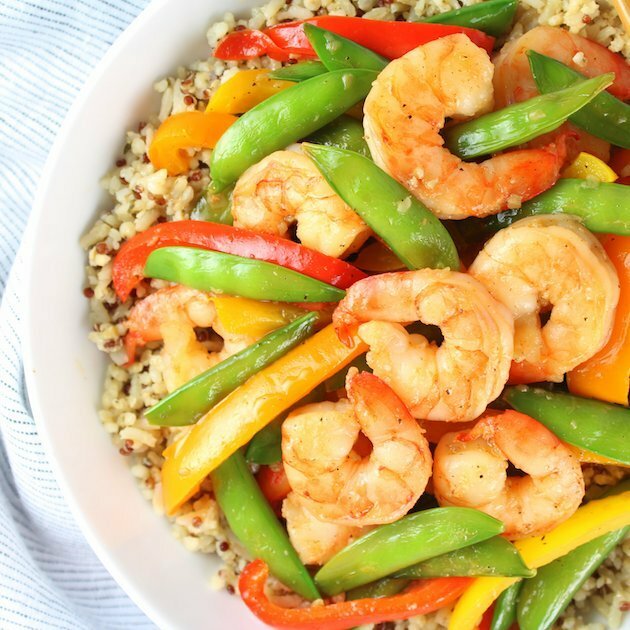 With shrimp, snap peas and peppers coated in a yummy garlic pepper sauce served over a hearty whole grain medley. A delicious and healthy 20-minute meal! I love a good stir fry recipe. They’re quick, easy and as healthy as you want them to be! Plus, they taste so fresh and sooo good! I’m not gonna lie: this stir fry situation is all kinds of delicious! With sautéed garlic, tamari, and fish sauce, it’s like the best Asian takeout you’ve ever tasted… but even better since you made it yourself!! Today I’m keeping it extra healthy (because New Year Goals and all) with this Parmesan Sorghum, Quinoa and Brown Rice mixture. You’re probably familiar with quinoa and brown rice, but maybe not so much Sorghum. Allow me to enlighten you! 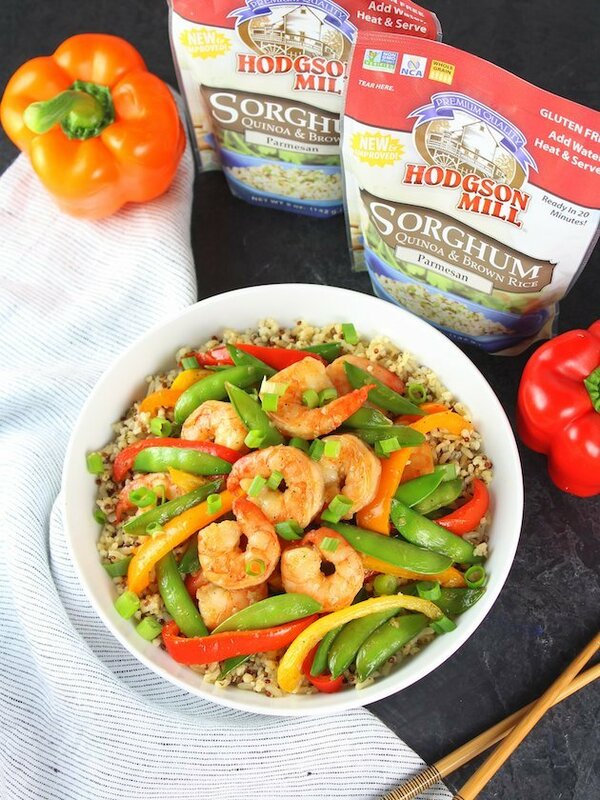 Sorghum is a small, beige, gluten-free whole grain that is becoming more and more popular. It’s the ﬁfth most important cereal crop in the world, largely because of its natural drought tolerance and versatility as food, feed and fuel. This superfood is made in America! It is grown from Kansas to Texas and all around the nation. 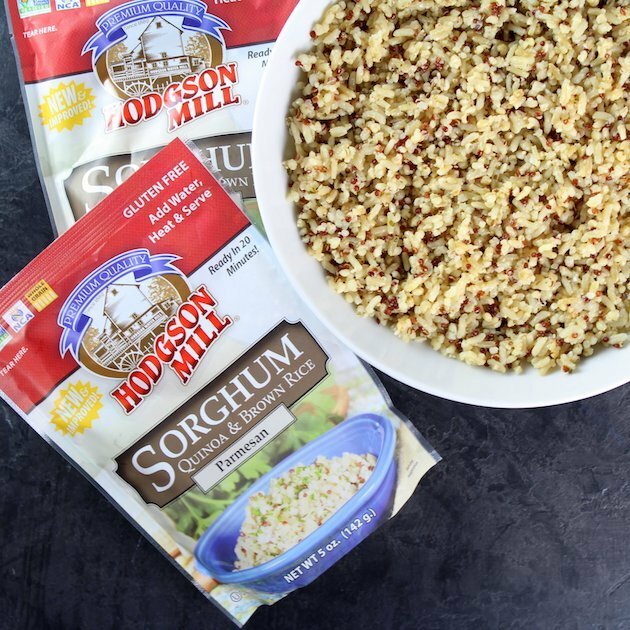 The mild sorghum grains in Hodgson Mill side dishes are pearled and cracked for a tender, creamy texture. Sorghum contains calcium and small amounts of iron, vitamin B1, and niacin. It can also provide magnesium, copper, phosphorous, and potassium! Class dismissed! Give yourself extra credit just for reading all of the above facts on Sorghum. This stir fry is just so gorgeous! With those colorful peppers and bright green snap peas, it’s almost too pretty to eat. But that won’t stop me!! You start by cooking the Parmesan Sorghum in a mixture of water and chicken broth. While that’s cooking, heat up a small saute pan, add coconut oil (canola works too) and minced garlic and cook for 1 minute on medium-high. Now add white wine, chicken stock, fish sauce, tamari (or soy sauce), Mirin (sweet rice cooking wine), ginger, and black pepper and bring to a simmer. Cook for 4-5 minutes until it’s reduced by half. Set that aside and cook the shrimp. Using a large skillet over high heat, add some coconut oil and stir in the snap peas and peppers, then cook for 4-5 minutes and set aside. 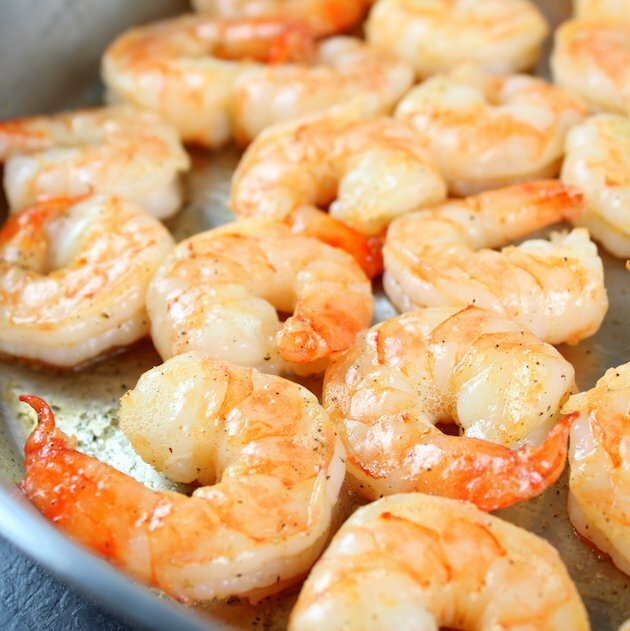 Add a little more oil to your hot pan and add the shrimp. Season with salt and pepper, and sauté until they curl up and turn an opaque white color – about 2 minutes per side. Now add your veggies and your garlic pepper sauce back into the pan and stir it all together. 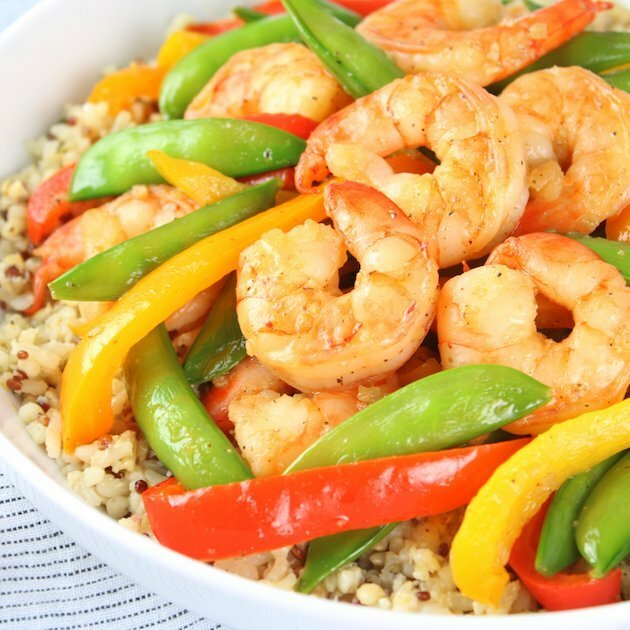 Serve the shrimp and veggies over your new favorite cooked whole grains and enjoy! 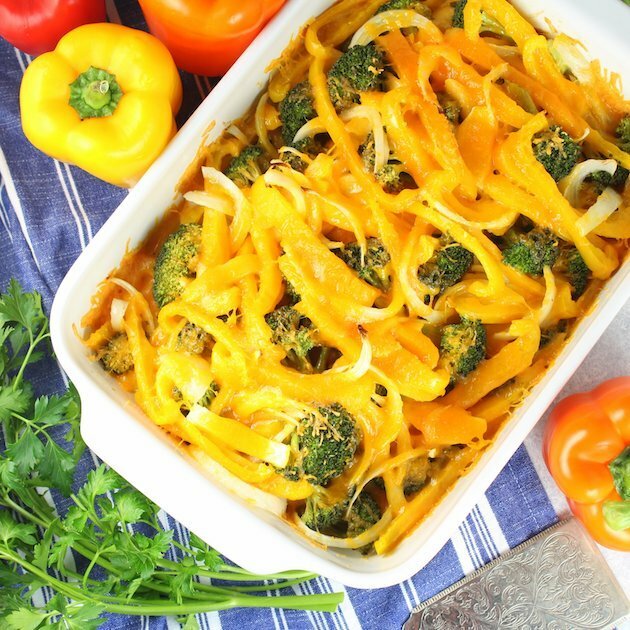 Another healthy and delicious weeknight dinner ready in 20 minutes! 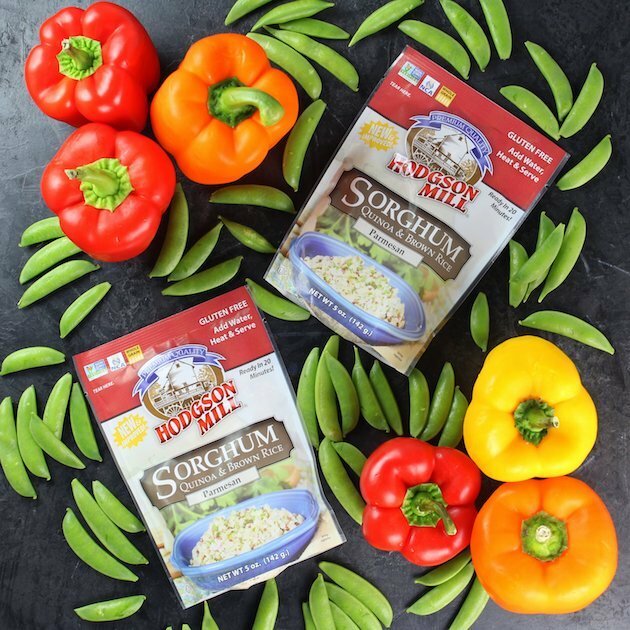 Consider substituting Hodgson Mill whole grain side dishes in place of mashed potatoes or white rice for a whole grain nutrition boost in any of your dinner meals — and lots of flavor! I would love to connect with you! Leave a comment and follow me on Instagram,Twitter, Facebook, & Pinterest! If you’re a seafood lover like me, be sure to check out my lobster with drawn butter and these easy grilled chili lime shrimp! Garlic Pepper Shrimp Stir Fry - With shrimp, snap peas and peppers coated in a yummy garlic pepper sauce served over a hearty whole grain medley. A delicious and healthy 20-minute meal! Add sorghum, chicken stock and water to a saucepan with tight-fitting lid. Cover, bring to a boil, reduce heat, and cook at a rapid simmer for 19 minutes. Remove from the heat and let sit 5 minutes covered. Meanwhile, heat a small sauté pan over medium-high heat. Add 1 tablespoon of oil and saute the garlic for about 1 minute. Add the wine, stock, fish sauce, tamari, mirin, ground ginger, & black pepper. Cook until the liquid is reduced by half, about 5 minutes. Set aside. 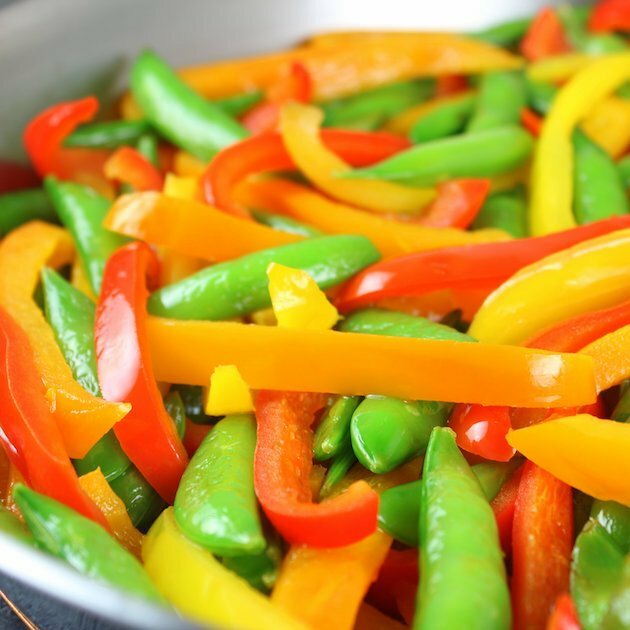 Add 1 tablespoon of oil to a large saucepan, add peppers and snap peas, and cook on medium high heat for 4-5 minutes. Set aside on a plate. Add 1 more tablespoon of oil to the same saucepan, season shrimp with salt and pepper, and saute for 2 minutes per side. Add the veggies and garlic pepper sauce and fold together. Serve over cooked whole grain medley. The sweetness of the Mirin is very important to balance the flavors in this recipe… so if you don’t have Mirin, substitute ½ teaspoon sugar. 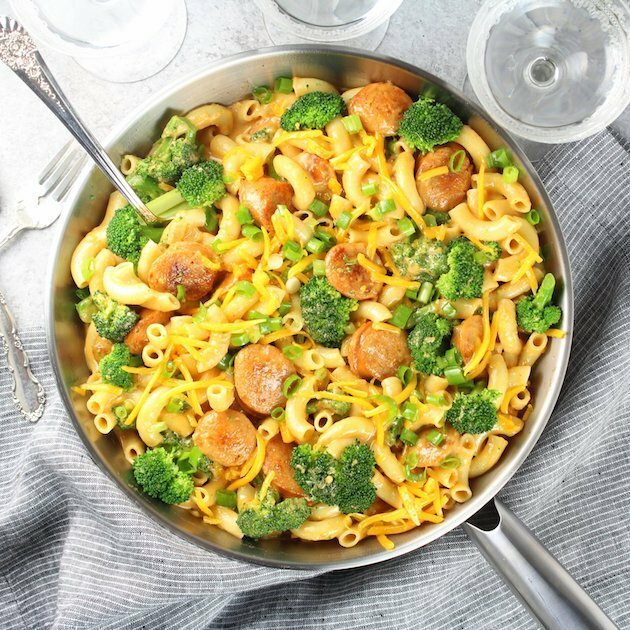 Looking for more easy family dinners? That looks really good. 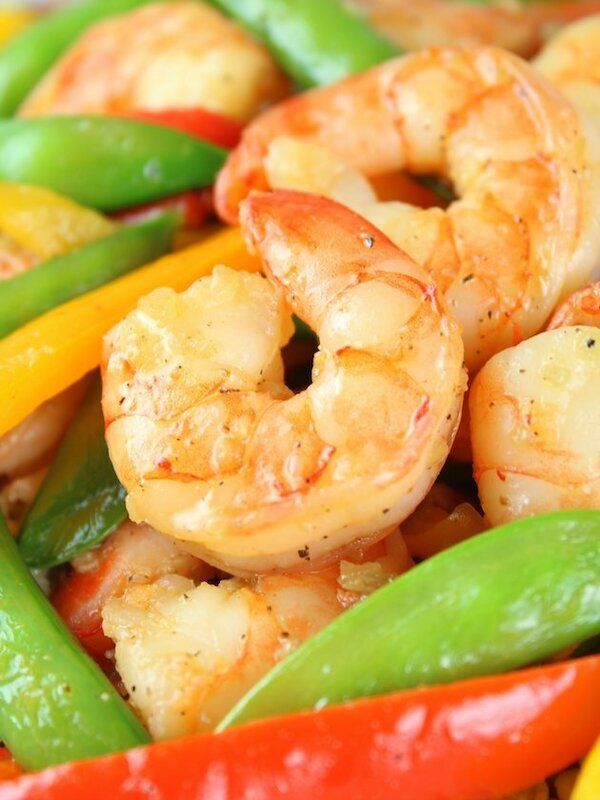 I love shrimp with garlic pepper. Me too, Sandra! It’s one of my favorite combo’s! Thank you!